We are in the process of selling and buying a new home. We had to decluttter our home for house showings. 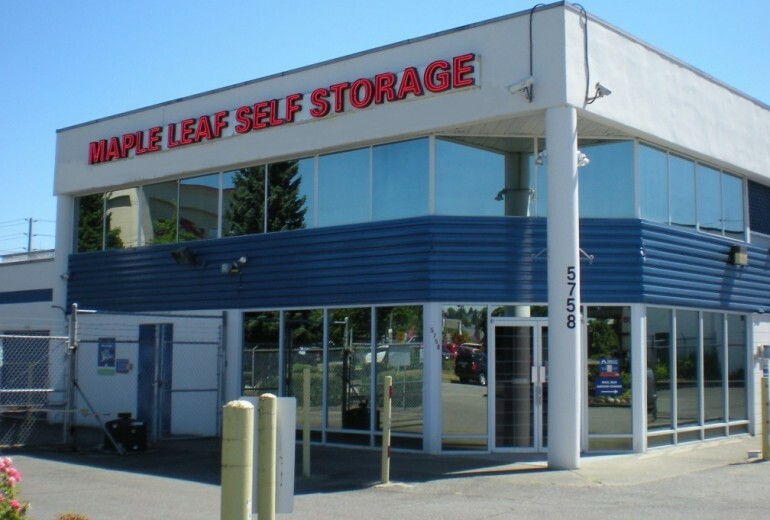 Maple leaf self storage Burnaby provided a convenient location, clean space and great customer service. Management was quick to respond to our questions and accommodated with ease. We received a thank you card in the mail. The whole experience has felt very personable. Highly recommend! Staff is always helpful, lot is clean, units are exactly as needed. It's been a good experience renting here. I've been storing my contents here for over 2 years. Haven't ever had any issues. The staff are helpful and friendly. I will definitely recommend any friends if they need this service. I have been using this storage facility for over 8 years. My belongings have been safely stored and having the convenience of 365 days a year access is great. Kris in the office has always been helpful and friendly. Very friendly customer services. Nice and clean. Price awesomez. Highly recommend. We've had our storage unit for about 20 years. We've experienced superior service from everyone in the office location. They have been very accomodating and helpful each time we required their assistance. We would recommend them to friends and anyone who might need a storage unit. I’ve had my storage unit for 2 years. I’ve had nothing but excellent customer service from everyone in the office. It’s been a pleasure interacting with them and I would recommend them to everyone and anyone who needs a storage unit. Great experience with Chris ! The roadways in the compound are extremely bad in areas. Great Service. I parked my Truck at Maple Leaf Storage on Griffith Drive for 2 months while I was out of the Country. It's a little expensive but it was still cheaper then long-term Parking at the Airport and the Staff are GREAT!! Maple Leaf self storage staff at 7705 Griffiths Drive in Burnaby are very friendly and professional. I have used their services several times, and will continue to use their Facility when ever the need arises. Every time I visit their office they make me feel welcome. Their customer service is amazing and they truly deserve an A+. 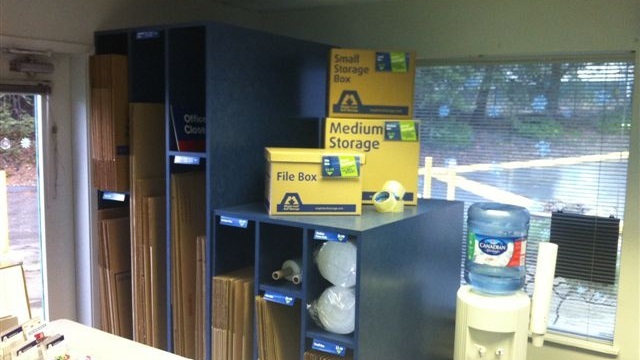 I recommend this team to anyone looking for storage facility in the Burnaby area. It has been excellent. The staff are both friendly and informative. Maple Leaf did a good in giving us a detailed explanation about the policy and procedures in renting a unit. They’re friendly and very accommodating. The place is clean and organized. I’ll definitely refer them to my friends. Thank you. Maple leaf storage is reasonable priced and very understanding. Chris the manager is awesome, I recommend this facility to any one who's looking for a reasonable storage company. Dependable clean tightly secured well managed easy access consumer friendly ''well staffed''No blasting alarms sounding off all over''.An extremely well-run operation. ''Client approved'' 6 yrs. Checked out the rest found this to be best! Thank you Maple Leaf Storage. Maple Leaf Burnaby had just what I needed for my moving to BC. Good location, clean and safe facilities and excellent personnel. I do recommend to anyone with storage needs and in case I need again in the future, I will definitely pay them a visit. Thanks for all guys. Staff are sooo nice and helpful. The customer service is excellent! Very friendly, and efficient staff. Super nice ladies at the desk. Great security. We feel very comfortable leaving our property with Maple Leaf. The staff were very helpful. Everything was so convenient, like I needed some boxes, and they were right in the office for sale.The price was good for my storage space, I had most of my stuff that needed to store away fitted in there. working area very clean, staff very friendly and helpful. I was worried this past winter when we had very heavy rains but everything stayed dry. Lighting in the unit allowed me to go in evenings to take or restore goods. Convenient location, emailed billings and other communications make it very easy to work with this company. Friendly staff too! Of all 5 places that I have used in the lower mainland this one has been the best. I’ve rented from a lot of storage companies this place had to be one of the most professional I’ve used, great security as well. they are kind and humorous while being professional. the site and the units (i‘ve required various sizes over time) are clean. best prices too. Awesome people, cheap rates and they go above and beyond to accommodate your needs! It's my second time storing with these guys and they've been great both times! Highly recommended! Highly recommended! First class customer service, cheap rates and they go above beyond. Thank you Maple Leaf Self Storage for helping make my move so much easier! Excellent customer service and clean storage units. Recommended for your storage needs big or small. 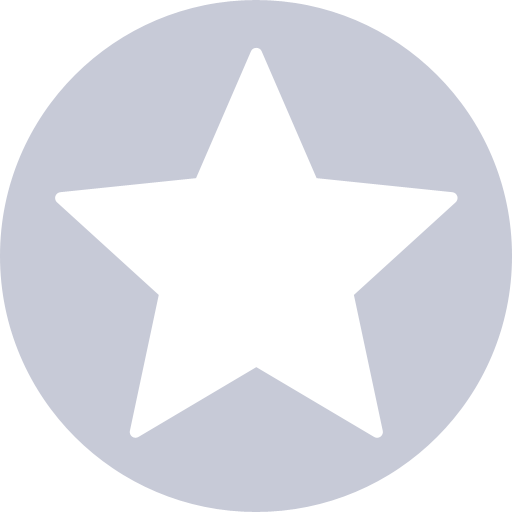 Very good place to storage, friendly people, happy doing business with them. Yes, you can drive right up to your storage locker! 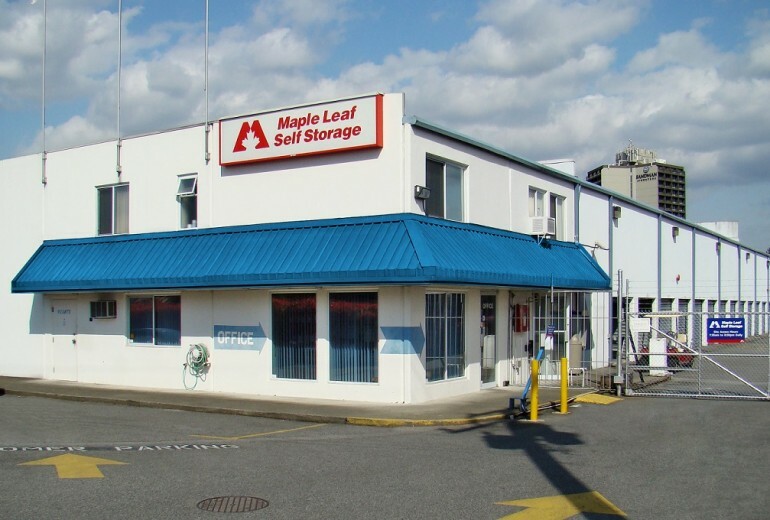 With plenty of ground-level self storage units for easy access and drive-up, Maple Leaf Self Storage’s Burnaby facility is unmatched in convenience. From big-locker tenants looking for renovation storage to those seeking something small, you’re sure to find a best fit option for you. 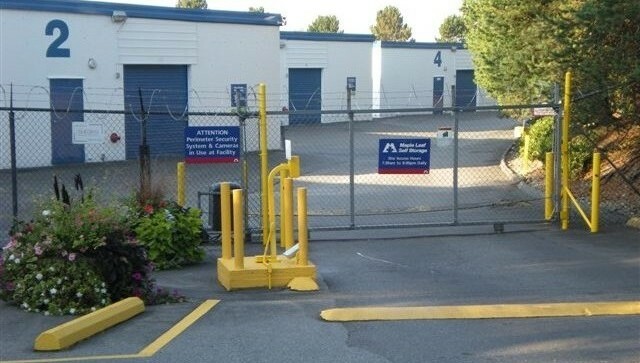 Maple Leaf Self Storage in Burnaby is home to some of the largest and most accessible ground level units a facility like ours can offer. 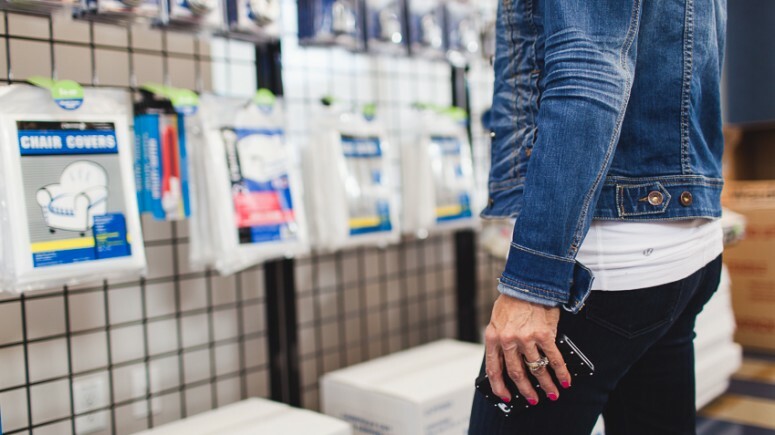 But if you need something small, medium, temporary self storage or ‘a little different’, work with our team of customer service experts to find a customized self storage solution. Nestled between Burnaby and New West, Maple Leaf Self Storage is located a short drive from Metrotown, and by Edmonds Skytrain station. 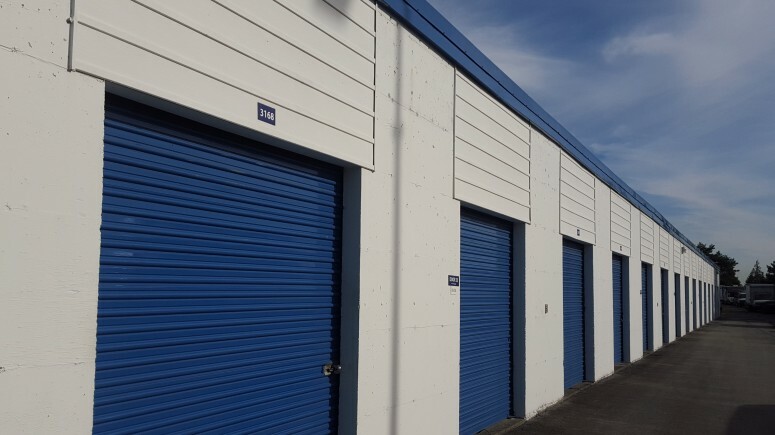 This Burnaby self storage facility features climate-controlled units, with unheated and drive-up options available. We employ ‘4x’ security (four times the level of assurance you can get at home), which means 24-hour video monitoring and an on-site resident manager. Modern fire safety systems protect locker contents while steel, concrete, and wood construction keeps potential meddlers out. With extra-wide roll-up doors, and generous hallways and elevators, there’s always room to manoeuvre your belongings. 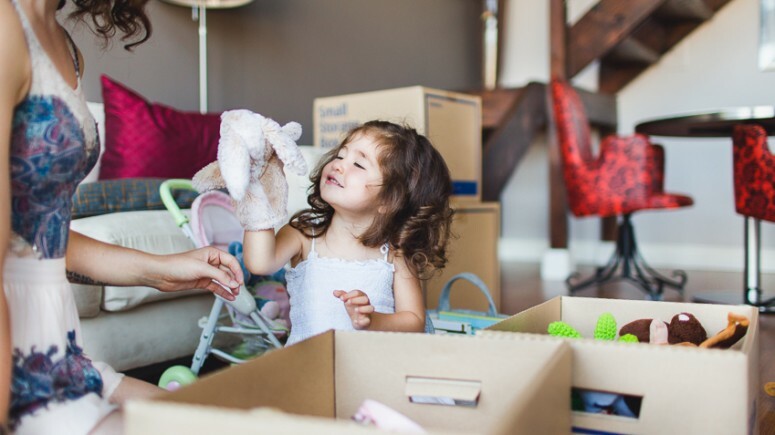 Whether you’re temporarily relocating items during a move or are looking for a long-term solution, we provide peace of mind at affordable rates. Guaranteed worry-free. Ready to find your perfect Burnaby self storage solution? Contact us today. *Offer is available on selected units, subject to availability. Available at the Burnaby location. Subsequent storage periods will be subject to re-quoting. If customer moves out during the first month, no discount will apply. Offer has no cash value. Cannot be combined with any other storage offer other than Multipack Box Deals.